Archimedes once famously said: "Give me a lever long enough, and a prop strong enough, I can single-handed move the world." Small engines are like Archimedes' lever, all kinds of potential just waiting to be unleashed. Four-stroke lawnmower engines are perfect foundations for a number of projects, especially those that require the low-end torque and durability of such designs. Lawnmower engines are essentially just downsized car engines. At least, that's the thinking of the many who have converted these former mulchers into tire-shredding go-karts. 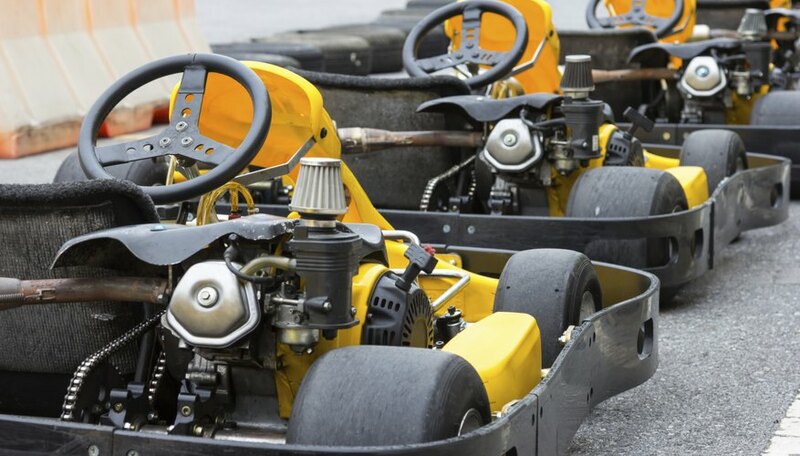 Some of the fastest go-karts around are powered by modified 15 to 20 horsepower engines that either came from lawnmowers or could have if they hadn't been snatched up by the go-fast crowd first. Lest you think that such go-karts are slow, consider this: a 20 horsepower engine in a go-kart weighting 80 lbs. with a 200 lb. driver would yield about the same power-to-weight ratio as a 200 horsepower 2010 Honda Civic (about 14 lbs. per horsepower). Arguably less fun than go-karts but far more practical, generator conversions are a natural fit for lawnmower engines. 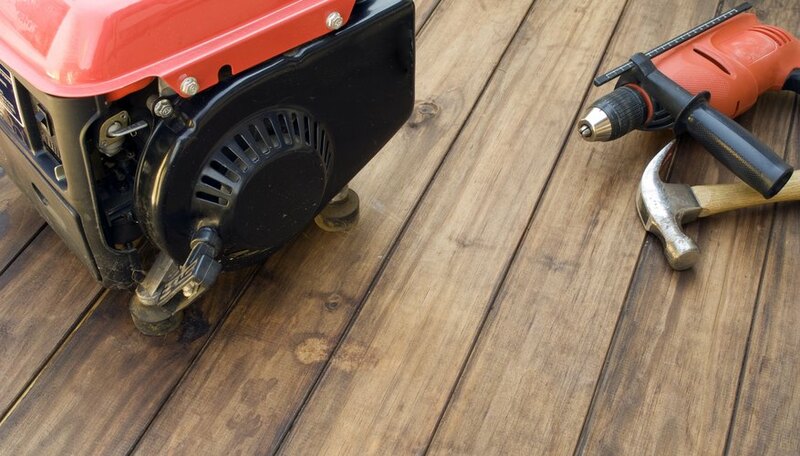 Mower engines are deigned to run for hours on end using as little fuel as possible, all without overheating. Mower-powered generators are pretty easy to build with a few scrap alternators. Generally speaking, an alternator will take about 5 horsepower to turn at full output, which equates to about 3,000 watts with an 80 percent efficient alternator. For a 20 horsepower engine using four alternators, that comes out to 12,000 watts (about 110 amps at a standard 110 volt house current). That's enough to run most homes' basic support systems (like the fridge, water pump, some lights, a TV and a microwave) for short periods. 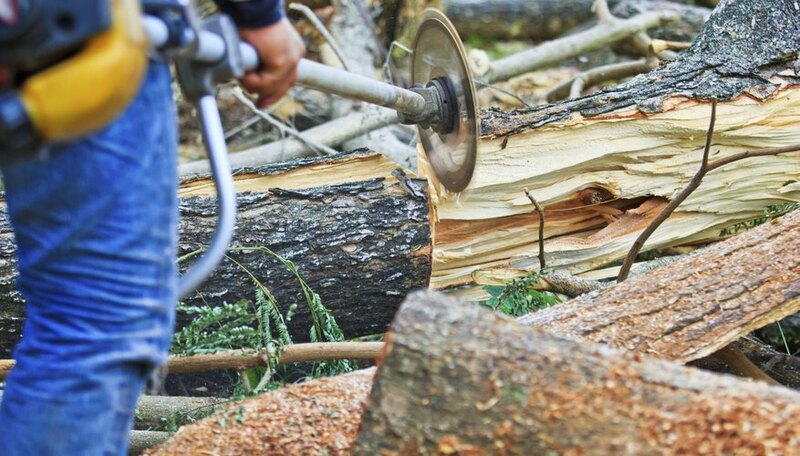 Building a log splitter may require extra parts and some additional cash outlay, but these handy devices can save hours of back-breaking labor in the wintertime and may justify the cost in the long run. A log splitter is basically composed of a power unit (the engine), a hydraulic pump, a hydraulic ram and a few bits of plumbing. 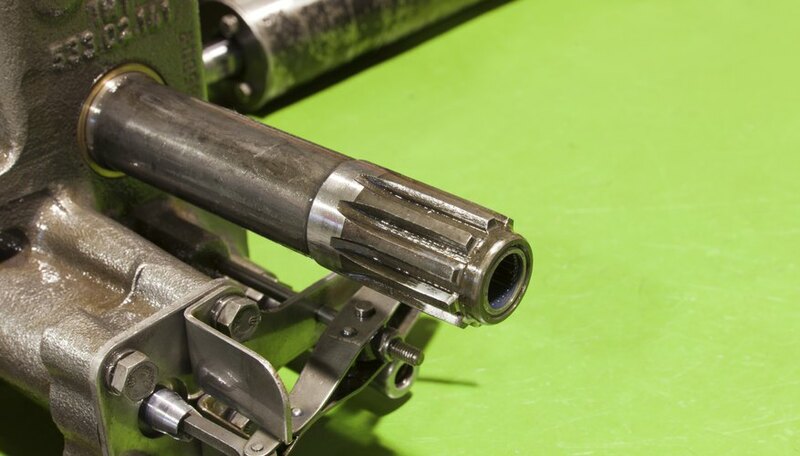 Essentially, the motor drives the pump, which sends pressure to the hydraulic ram. The ram pushes the wedge into the log, splitting it in two. If you're scavenging the motor from a zero-turn mower, you'll already have the hydraulic pump (which is a big chunk of the extra cost). Otherwise, as of 2010 a brand-new hydraulic pump and ram will cost you from $100 to $300 (pump) and $300 to $400 (ram). The end result is a log-splitter that could cost at least $1,500 new. Better yet, you can recoup some of that cost by splitting logs for your friends.